Author Panel: Does That Make Me a Feminist Writer? The 2015 Short Story Competition Finalists! Nino Ricci’s first novel was the internationally acclaimed Lives of the Saints. It spent 75 weeks on the Globe and Mail‘s bestseller list and was the winner in Canada of the F.G. Bressani Prize, the Books in Canada First Novel Award, and the Governor General’s Award for Fiction, and in England of the Betty Trask Award and Winifred Holtby Prize. In the U.S. it was shortlisted for the Los Angeles Times Art Seidenbaum Award for First Fiction and was a New York Times Notable Book, and in France it was an Oiel de la lettre Selection of the National Libraries Association. 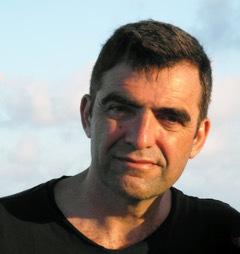 Nino Ricci’s first novel, Lives of the Saints, garnered international acclaim, appearing in 17 countries and winning a host of awards, including the Governor General’s Award for Fiction. It formed the first volume of a trilogy that was adapted as a miniseries starring Sophia Loren. Ricci is also the author of the novels Testament, winner of the Trillium Award, and The Origin of Species, which earned him a second Governor General’s Award, and of the biography Pierre Elliott Trudeau, part of Penguin’s Extraordinary Canadians series. His most recent novel is Sleep, winner of the Canadian Authors’ Award for Fiction. Ricci holds an honorary doctorate from the University of Windsor and is a past president of PEN Canada. In 2011 he was appointed a member of the Order of Canada. He has taught at institutions across North America, including Colorado College and Princeton University, and is currently the inaugural holder of Western University’s Alice Munro Chair in Creativity.